Today is November 1st, the day after the Halloween night. I usually try to come up with a Halloween night post, but as horror always exists in my life a lot better than anything else, I thought that I should come up with the Kerala Piravi post instead. Today is the birthday of the state of Kerala or the Kerala Piravi Dinam. 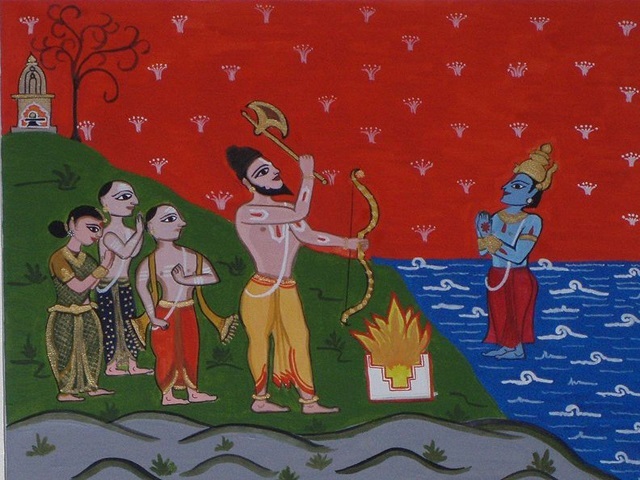 It is believed that Parashurama, the incarnation of Lord Vishnu created Kerala as he threw his axe into the sea, and water gave way to bring the land which is now this state, A part of his creation also forms a very small part of Tamil Nadu and Karnataka. Most of the Keralites do know all these, but I will share this for the first time on my blog. A reminder will only help to keep the memory filled. I have read a good amount history, but all that I have studied has not got much about Kerala; still, I will bring something here. Kerala history also forms only a smaller part of our history books except for the times of the Renaissance, if I remember correctly from my school days. Three big kingdoms of Kerala on May 27th 1498 when Vasco Da Gama landed at Kappad included Travancore in the South with its capital at Padmanabhapuram which later shifted to Thiruvananthapuram, Cochin at the centre with its capital at Kochi and the Kingdom of Calicut based on Kozhikode. Once the most powerful among the Malayalam speaking kingdoms in the South, Calicut made good progress into Valluvanad and through Cochin, forcing the ruler to shift the capital to Thiruvanchikkulam and then to Kochi itself. Calicut was controlling most part of Cochin soon and later they were making tributaries out of the smaller kingdoms. After coming under Vijayanagara Empire, the ruler of Calicut under the title of Zamorin or Samoothiri could rise again only to face the Portuguese threat, changing the alliances and friends teaming up with the Dutch against the men from Portugal and their earlier nemesis Cochin. The Mysorean invasion of Kerala led by Hyder Ali and Tipu Sultan began the end for Calicut with the ruler setting himself on fire as he faced certain defeat. Calicut would never really recover, and the kingdom would be part of Madras Presidency under British after the fall of Tipu. Once extending between Ponnani and Kochi, Cochin was restricted to a smaller state forcing it into alliance with Portuguese. The destruction of the city by the Zamorin of Calicut and Mysorean invasion would affect the kingdom, but would still rise to its best situation under Sakthan Thampuran, the most renowned king of the state. Cochin also had its alliance with its former rival and the bigger Kingdom of Travancore in the South against Calicut. Covering most of central and southern Kerala along with the Kanyakumari district of Tamil Nadu, the rise of Travancore meant unity. The Battle of Colachel in 1741 had Travancore defeating the Dutch, becoming the first kingdom to win a battle against a European power. Led by the Flemish commander, Eustachius De Lannoy who surrendered in the battle, Travancore went on further North to conquer more. 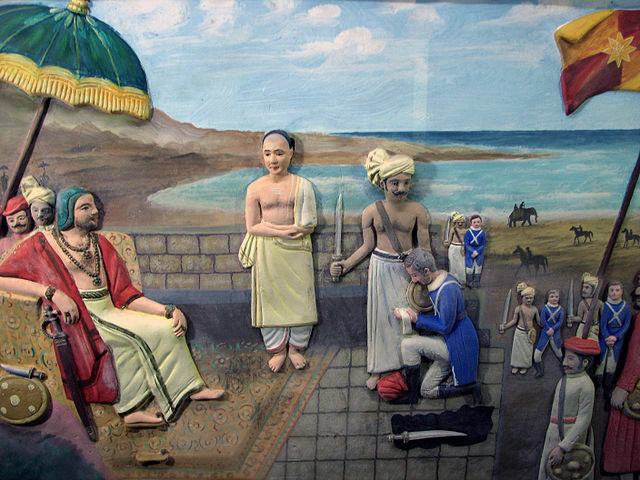 With the successful defence against a stronger army of Tipu in the Battle of the Nedumkotta and providing asylum to those who escaped the Mysorean onslaught, Travancore would rise to become the second most prosperous state in India with its kings of the people and a high level of religious tolerance. Travancore and Cochin would later join forces again to come up with the Travancore Rebellion against the British East India Company. The later history of Kerala goes back to three provinces named Malabar, Cochin and Travancore; as the first one was under the Madras Presidency directly controlled by the Empire, the second and the third being kingdoms allied to the British. 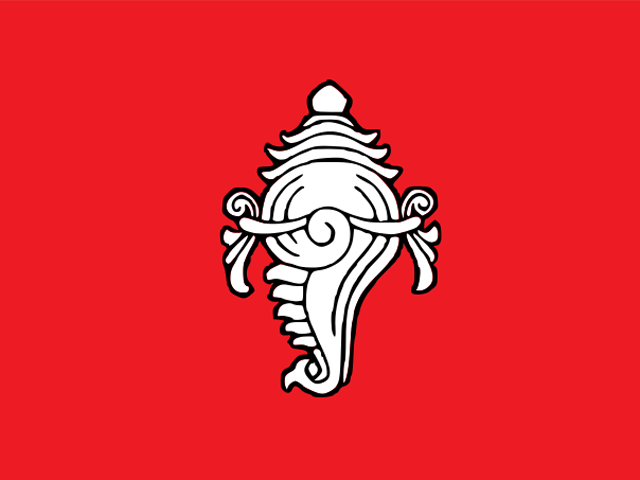 After independence, the first state to be formed was that of Travancore-Cochin, which was created on 1st of July 1949 by combining two kingdoms of Travancore and Cochin. Parur T. K. Narayana Pillai, the Prime Minister of Travancore, then became the Chief Minister of Travancore-Cochin with the ruler of Travancore as the governor. This arrangment existed for a few years until the situation had to change with Travancore Tamil Nadu Congress launching a campaign for joining Tamil-speaking regions of Travancore-Cochin with Madras State. Later, according to the States Reorganisation Act of 1956, the current state of Kerala was formed as the Travancore-Cochin state combined with the Malabar district of Madras State and the Kasaragod taluk of South Canara district while Kanyakumari district was added to the Madras state. This is the fifty nineth birthday of the state which is known as the God’s Own Country, as that day of its current existence began on November 1st, 1956. ***The images used in this blog post are from the Wikipedia pages of Kerala and the Battle of Colachel. I had recently written about two of the biggest battles of Kerala, the Battle of Colachel (1741) and the Battle of Nedumkotta (1789), and also mentioned a few of the great kings of Travancore. After a few posts about the Renaissance in Kerala, I plan to write something about those rulers who had control of the biggest kingdom based in Kerala, the Kingdom of Travancore which consisted of about half of the state along with the Tamil district of Kanyakumari. I have just chosen four of them, but you might also want to read about Ayilyam Thirunnal and Sree Chithira Thirunal Balarama Varma and a few incidents. 1. Marthanda Varma: Credited as the only king from India to beat any European army, which happened at the Battle of Colachel against the Dutch in 1741, he is also known to have been the maker of Travancore. The Dutch commander Eustachius De Lannoy had even chosen to join the great king. The Treaty of Mavelikkara made sure that the Dutch was no longer a threat to the Indian subcontinent. The unification of the southern part of Kerala is his biggest achievement as he lead the formation of the greatest kingdom based in Kerala. After establishing a strong kingdom with the capital at Padmanabhapuram, he made sure that it is properly defended with a more modernized army and enough fortifications, and also formed an alliance with the Kingdom of Cochin which ensured the latter’s extended existence. This creation of modern Travancore was well aided by his minister, Ramayyan Dalawa who was the Chanakya figure during his time – his role in the success of the kingdom was more than one could imagine. Ramapurathu Warrier (Vanchipattu) and Kunchan Nambiar (Thullal) were known to be his court poets. The movie based on his life was just the second ever Malayalam movie after Vigathakumaran. You can also choose to read the novel by C. V. Raman Pillai which is a historical romance and the first historical novel to be published in Malayalam. Do check out for the pillar of victory at Colachel if you manage to travel near the place. 2. Dharma Raja: Succeeding his uncle Marthanda Varma, Karthika Thirunal Rama Varma was given this name as he gave asylum to a good number of Hindus and Christians who fled from the north during the invasion of Tipu Sultan. He was already known to assist his uncle in his conquests. The defence of Travancore from Tipu with the Battle of the Nedumkotta happened during his time, and Raja Kesavadas was the man behind the military success along with Vaikom Padmanabha Pillai. It was a battle against all odds in which Travancore succeeded in defending their kingdom. Known for his religious tolerance and continuing the policy of his uncle, he remains one of the best known adherants of Dharma Sastra, and the success against a many times bigger and more modernized army of Sultan remains a great achievement of Travancore under him. Development of Alappuzha port, Construction of Main Central Road (Currently SH1 from Trivandrum to Angamaly) and establishment of Chalai Market also happened during his period. He was a much loved king, and serving the people was a priority for him, as infrastructure managed to find even more life. 3. Swathi Thirunal: This reign is often referred to as the golden age of arts in Travancore. He himself was a skilled music composer, and the golden age was not restricted to arts, to be exact. 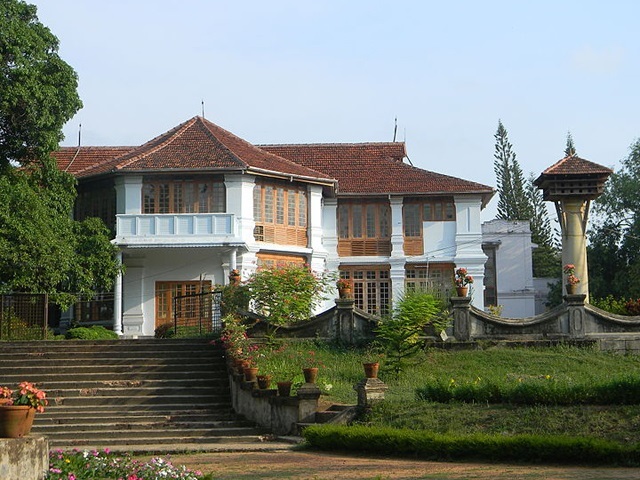 English education in Travancore started during his time, and the first Government printing press along with a better code of laws came into existence during his reign. Irayimman Thampi who wrote the famous lullaby “Omanathinkalkidaavo” when the king was born, remained part of his court. He was a huge patron of music and continued to support the same in his court. Swathi Sangeetha Puraskaram, the highest honour for musicians from Kerala government is under his name. A music festival, Swathi Sangeethotsavam is also conducted in his memory. 4. Sree Moolam Thirunal: He established the Travancore Legislative Council in 1888 is said to be the first Legislative Council for any state in India. It later went on to become the Sri Mulam Praja Sabha. The fields including education, transportation, medicine, law and order and others got major attention. 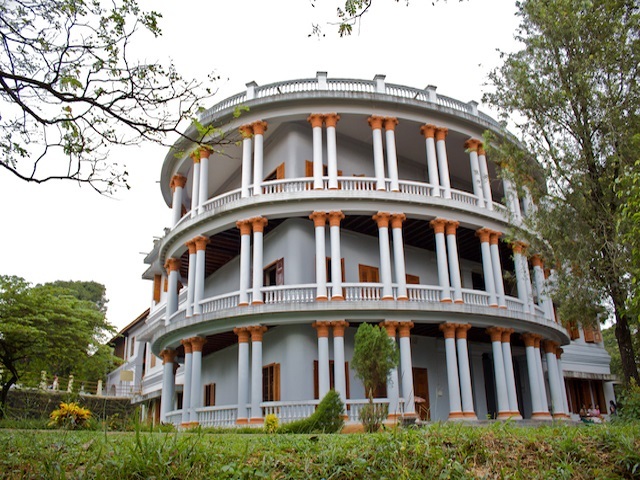 He would continue to lead Travancore as the successful state that it has always been. The path of reforms would be followed by Sethu Lakshmi Bayi (grand daughter of the renowned painter Raja Ravi Varma) who would be the next one to be on the throne, and she abolished Devadasi system and animal sacrifice. ***The images used in this blog post are from the Wikipedia pages of the Battle of Colachel and the Kingdom of Travancore meant to support this post. I do not claim to be an expert in this, but I read Kerala History for the information and has graduated in History. 1. Pandit Karuppan: Even though most of better known social reformers were from the Travancore state of Kerala’s centre and South, here is someone who hailed from the Kingdom of Cochin. Fighting against untouchability and all kinds of social evil, for which he was called “Abraham Lincoln of Kerala”, a title which shows his quality and skills as a person more than anything else. His efforts to bring the socially backward classes of the society were highly supported by his own skills as a poet and dramatist. As a man who respected all religions, he hoped for equality above all. The King of Cochin had given him the title “Kavithilakan” for his creativity, and he might be the first known modern human rights activist of Cochin. His work “Jathikummi”, which criticized the caste system was a big move in the right direction. 2. Sahodaran Ayyappan: Even though he was more influenced by Sree Narayana Guru than anybody else, his message was more like no caste, religion or God for man as he hoped for human values more than anything else. He founded and worked as the editor of the magazine “Yukthivadi” and also founded Vidhya Poshini Saha hoping for the much needed change for the age. Sahodara Sangham was another group of young men fighting for social age, and he is also responsible for its inception. Misrabhojanam, which had all castes and religions of people dining together without separation, was also organized by him. He never ceased his sincere work as he started a paper called “Sahodaran” and was elected to Cochin Legislative Council. He firmly believed that people will rise above the religion and caste, upholding the values of humanity. 3. Vakkom Muhammed Abdul Khadir Moulavi: The founder and publisher of the newspaper “Swadeshabhimani”, Vakkom Moulavi was a man who is often remembered in relation to journalism. For his criticism of the Diwan of Travancore, P.Rajagopalachari and the government in general, the newspaper was confiscated, but he was not ready to step back from exposing the injustices in the society. He is often considered the father of Muslim Renaissance in Kerala, and was the founder of Muslim Mahajana Sabha. He was a progressive man and hoped for his community to follow the path of modernity – he was a social reformer who made changes possible in his own way. He also made Arabic-Malayalam popular with his monthly, “Al Islam”. He is also the founder of Islamia Publishing House. 4. Dr. Padmanabhan Palpu: As the first doctor from his caste, he contributed efficiently in the upliftment of his community and making sure that the situation in his state was better than it used to be. Educated at London and also having worked in Mysore, his biggest contributions were to come at his own state. He was the founder of Ezhava Mahasabha after founding Malabar Economic Union. He came up with the “Ezhava Memorial” which was a memorandum signed by a high number of people hoping for a better treatment, and “Treatment Of Thiyyas In Travancore” was his work on the concern. He also played a big role in the establishment of Sree Narayana Dharma Paripalana Yogam (SNDP) which follows the ideals of the man who might be the greatest social reformer of Kerala, Sree Narayana Guru. 5. Poykayil Yohannan: Rising from a lower status, he realized the difficulties which the lower castes faced despite which faith they followed, as he rejected the usual path of religions and established the Prathyaksha Raksha Daiva Sabha (PRDS) which was more of a movement for the Dalits rather than a new religion or sect. Also known as Poikayil Appachan or Kumara Guru, he was also a member of Sadhujana Paripalana Sangham (SJPS) which was founded by Ayyankali and being a member of the Sree Moolam Praja Sabha, he fought for better treatment for the subaltern. At the same time, he tried to get them better educated and keep them out of the grasp of superstitions and discrimination against each other. 6. V. T. Bhattathiripad: He is known to be the man who encouraged widow-remarriage as well as mixed marriage in Brahmin society more than anybody else before him. His drama “Adukkalayilninnum Arangathekku” is known to have provided a big beginning to a change which was to follow. It was more like a twist which everyone were waiting for in a society which was divided by caste and beliefs. He was also famous for conducting “Yachana Yatra” from Trichur to Kasargode in order to help the poor children of the society to have education. “My Tears, My Dreams”, which was published by the Oxford University Press is the translation of the memoirs which is originally titled “Kanneerum Kinavum” which you might want to read. Posts about ten other Kerala Renaissance figures! On the 299th day of this blog’s existence, The Tea Cerebration(s), the 200th post has arrived, and on this quite long a journey, I would like to thank everyone who has inspired me to come up with more posts with their likes, comments and messages. There have been a lot of support, and being a person of doubt, I had a lot of confusion when beginning this blog, but it does stand 21,000 visits strong and going almost as my other blog, Movies of the Soul which actually has more visitors from search engines. As you might already know, this is my fourth and the final blog which still exists now – yes, I am not planning to start another blog ever as long as this one goes on with even a quarter of the strength as it is visible as of now. 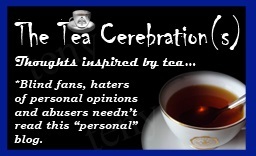 The Tea Cerebration(s) has actually proved quite lucky for me, as it has worked well in the case of most of the things that I have tried to do. On this occasion, I would just share five more of the big names of Kerala Renaissance, because it was too incomplete; it will continue to be so, but I will just add five more of them. 1. Brahmananda Sivayogi: A believer in yoga and an athiest, he might be one of the lesser known names among the people of this age, but the impact that he made in Kerala Renaissance is something which cannot be seen as something of lesser significance, for it is a lot. He was completely against any kind of idol worship and found Anandamatham (the religion of bliss) as he strived for social equality and peace throughout his life-time – his hope was for happiness or bliss among people. He was also the founder of Ananda Maha Sabha, and a number of his disciples have continued his work through the ages within Kerala. 2. Swami Vagbhatananda: Here is another name which you would want to remember if you haven’t heard about him yet. He is often related as Sree Narayana Guru of Malabar, and is known for being the founder of Atma Vidya Sangham which spread his teachings, and also had a very secular outlook. He was a nationalist, scholar and a social reformer, as he used his knowledge to the betterment of the society as well as improving the national spirit around his world. He was intellectually superior to those who opposed him, and worked to eradicate superstitions along with spreading the power of knowledge. 3. Mahakavi Kumaran Asan: Most of us Malayalis know Kumaranasan as a poet and having the title “mahavakavi” without writing a mahakavyam. But he was more than just that, as he went on to became that voice that Kerala needed, through his writing skills. He was the one who started the newspaper Vivekodayam, and he also served as the first secretary of SNDP Yogam. If we look at his works, there is immense power in them, and a reflection of the society at that time, and there is the hope for a better society. He was a poet of his times and his world like not many others, which is why we will keep recollecting his name whenever Malayalam poetry becomes part of the talk. 4. Thaikkattu Ayyavu Swamikal: Also known as Sivraja Yogi and Sadananda Swami, he was known to have inspired three other social reformers who came later – Sree Narayana Guru, Ayyankali and Chattambi Swamikal. He is also known to have visited Vaikunda Swamikal, his contemporary. He had hoped for one religion, caste and God for everyone and also social equality as he preached and worked for the same. He also came up with Panthibhojanam with people of different castes and religions having food together. He was a man with a great vision and had hoped for more than he had achieved. 5. Mannathu Padmanabhan: The work of Mannathu Padmanabhan is something which needs no special introduction, as he is a well-known figure and a man of great skill. Known as the founder of the Nair Service Society (NSS), he was part of Vaikom Satyagraha as well as the same agitation at Guruvayur get permission for the lower castes to worship at the temples. He later lead Vimochana Samaram (the liberation struggle) which brought down the first Communist government under E. M. S. Namboodiripad and activated Article 356 of the Indian Constitution. Honoured with Bharata Kesari and Padma Bhushan, he was a man who brought big changes to the Kerala society. ***The five social reformers of Kerala Renaissance were randomly selected and there are certainly more who deserves a mention in such a list. ***The images used in this blog post are taken from the Wikipedia page of the History of Kerala. We had another strike yesterday in Kerala. The number which seemed to go down has come up all of a sudden, and soon we will go back to having more number of strikes than it can ever be predicted. If you wander around Kerala, you can see that there are more banners, posters and boards about strikes than anything else. Yes, there are the political and religious ones, but nothing can match the need for purge, the legendary harthals and random strikes of God’s Own Country. It is more like campaigning for an upcoming movie – participate in the strike, and make it a big success, it is what we are supposed to do? So, it becomes only a necessity to remember those great leaders who lead the renaissance in Kerala at a time when the state was desperately in need of one. It is due to the work of these selfless personalities that Kerala could achieve the progress that it managed to. I have been reading a lot of related information for the PSC examinations, and will share what I can remember right here. Well, sharing something about these people is nothing less than a privilege. May be we need more social reformers to stop these ridiculous harthals and strikes. So, let’s remember a few of the great men of our past, and a dose of Kerala Renaissance. 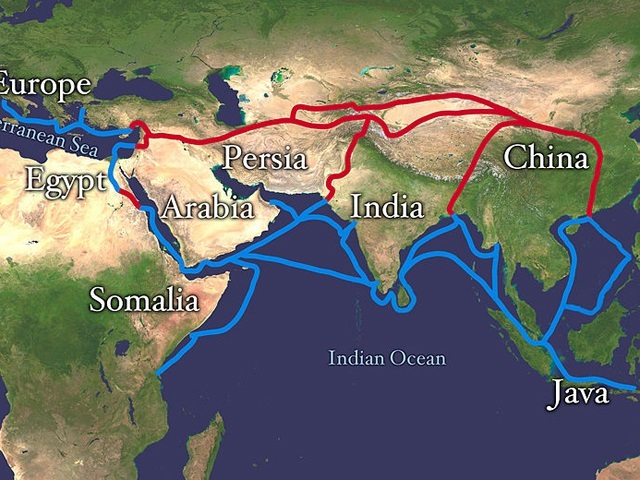 Those early trade routes which touched Kerala, and contributed to its development. 1. Sree Narayana Guru: As the father of Kerala renaissance, the guru was the one who lead the movement against casteism and worked for equality. For the man who gave the message “One Caste, One Religion, One God for Man”, Sree Narayana Guru Jayanthi and Sree Narayana Guru Samadhi are public holidays in Kerala. He was a fighter against all kinds of social injustice which the lower caste had to face. He hoped for social equality in the future, something which Kerala managed to achieve as the state moved out of the caste system with grace. Two other significant messages from him are “Whichever be one’s Religion, it is enough if the Man himself improves” and “Liquor is Poison; do not Drink it; do not Produce it; do not Distribute it”. 2. Ayyankali: You might have noticed a statue at Kowdiar square in Thiruvananthapuram, of this famous social reformer who worked for the untouchables of his time. The social structure of Kerala at his time was complicated or rather ridiculous and had too much of caste system, which this man dared to defy. Mahathma Gandhi himself called him Pulaya Raja, and he was the founder of Sadhujana Paripalana Sangham for protecting the subaltern which has tremendous support at that time. A member of Sree Moolam Popular Assembly, Ayyankali might be the most significant Dalit leader of this part of India, and do spend some time to learn about this man who defied the odds. 3. Mar Kuriakose Elias Chavara: This priest and social reformer from Kerala was the second canonised saint of the Syro-Malabar Catholic Church and the founder of two religious orders Carmelites of Mary Immaculate, and the Congregation of the Mother of Carmel. The significance of this man is that he played a higher role in educating people of the lower castes, and hoped to make the situation better for untouchables. He found a printing press at Mannanam from where Nasrani Deepika, the first Malayalam daily which still exists, was printed. He believed in the education of women as well as the education for all. He started noon day meals in schools and began “pallikoodam” which meant that every church should have schools to give free education to all. 4. Chattampi Swamikal: As a contemporary of Sree Narayana Guru, he also worked for those groups of the society who were marginalized and needed certain upliftment in the world which clearly belonged to the upper castes. The man who followed non-violence and vegetarianism, managed to make people have second thoughts about following the caste system and degrading the lower castes. He was a fine scholar and wrote a number of books. He had knowledge in religions other than Hinduism too, especially Christianity, and had the idea that all religions were the same, and there was no need for conversion into any. He is credited with a lot of works, and had a good number of disciples who carried on with his words of wisdom. 5. Vaikunda Swamikal: Known more as Ayya Vaikundar, but in Kerala as Vaikunda Swamikal, he was social reformer who worked for the betterment of the situation of the lower castes in the Kingdom of Travancore which had about the half of the present Kerala along with the Tamil district of Kanyakumari. Ayyavazhi is a belief system which is centered around his life. He found an organization called Samatva Samajam which might be one of the earliest social organization in Kerala with a strong cause, and he was indeed one of the first to do so. He was also the first person to come up with the message about one God for all humanity, despite the wide variety of difference whch prevailed around the world.